Baseball truly is an international sport. And as such, there has always been a demand for a World Cup-style tournament that would pit the best players from the different baseball playing nations against each other in order to determine a world champion. Before the World Baseball Classic debuted in 2006 there had never been this type of tournament. There certainly has been international baseball tournaments. The World Baseball Cup has been around since 1938 when Great Britain, of all nations, took the title. Baseball has also been a medal sport on numerous occasions during the Summer Olympics. But Major League Baseball players weren’t allowed to participate in those events and thus they never had any legitimacy as a decider of world baseball supremacy. Since it was created in conjunction with Major League Baseball and the Major League Baseball Players Association, the World Baseball Classic (WBC) has had Major League players on board from day one. How to stage the tournament without interfering with the season, however, did present a bit of a problem. The WBC decided to play in March, which would be congruent to the Major League spring training. This way MLB players could join their national teams and not miss any games that count, while still participating in the type of baseball activity that would help them prepare for the season. Other rules which differentiate the WBC from Major League Baseball is a mercy rule that kicks in at 15 runs after five innings and ten runs after 7. If a WBC game is still tied after the 12th inning teams start each additional inning with a runners and first and second. (Again, this is to preserve pitchers.) The WBC uses the designated hitter. 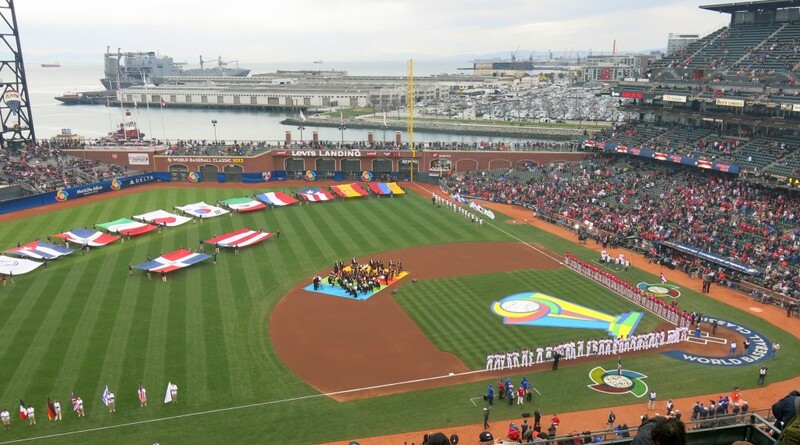 Pool play for the WBC takes place in United States, Asia, Latin America and Caribbean with the championship round so far always taking place in the U.S. 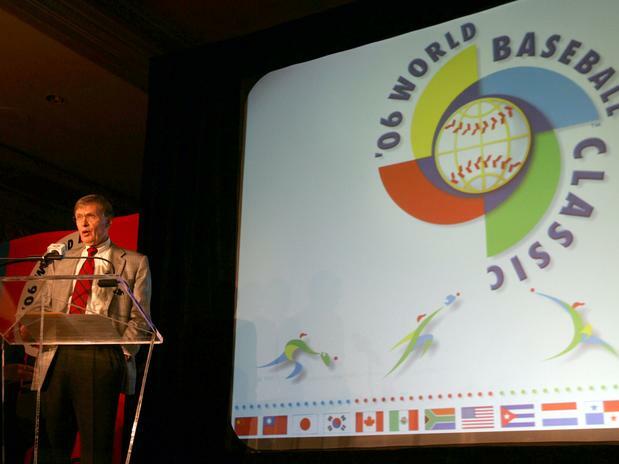 The WBC has been held three times, in 2006, 2009 and 2013. It will remain on a four-year schedule for the foreseeable future. Japan was victorious in the first WBC, defeating Cuba in the title game. They made it back-to-back in ‘09, this time knocking of their Asian rivals South Korea in the final game. Japanese Pitcher Daisuke Matsuzaka was the MVP of both tournaments, compiling a 6-0 record between them. 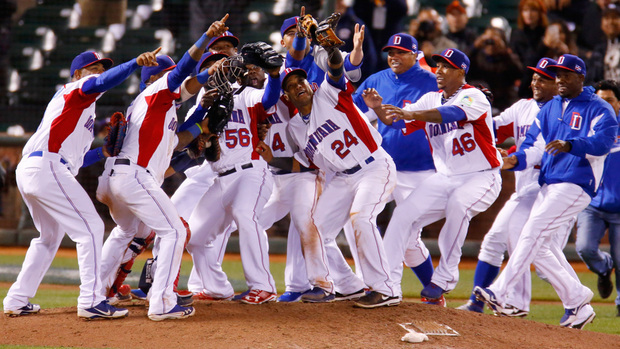 The 2013 final was an all Caribbean affair, with the Dominican Republic defeating Puerto Rico for the title. Robinson Cano took the MVP trophy by hitting 469 over the tournament. With an average attendance of about 20,000 a game, the WBC is long way from reaching the level of popularity enjoyed by the soccer World Cup, which the tournament is styled upon. However it’s has been a huge hit in Japan, and the 2006 and 2009 finals are the highest rated sports television events in the island nation’s history. Of course that has a lot to do with the Japanese team’s success in those tournament, and it could be argued that what’s keeping the WBC from being more of a presence in the United States, the world’s biggest media market and birthplace of baseball, is the American team’s lousy record in the event, never finishing higher than fourth place. We’ll have to wait until 2017 to see if a better result from American team elevates the World Baseball Classic to must-see TV stateside. Until the WBC captures the imagination of America it’s hard to call it complete success. But has certainly had a good start.